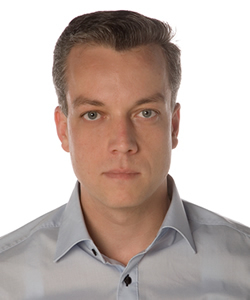 Jodok Troy is an Austrian academic and a visiting scholar at the Freeman Spogli Institute for International Studies in Stanford University's Europe Center from 2016 through 2018. He has been a lecturer in the Department of Political Science at the University of Innsbruck since 2009; Troy previously held a research fellowship at the Center for Peace and Security Studies at Georgetown University and was an affiliate scholar of the Swedish National Defense College. His international relations research focuses on international political theory and policy issues of international peace and security, particularly focusing on realism and the English School, as well as religion and agency in international politics. At Stanford, he is working on a project examining international moral leadership in the examples of the popes and the United Nations secretaries general. Troy has a Ph.D. from the University of Innsbruck.